There is so much information to learn about LiFePO4 technology and the benefits of switching from lead acid to lithium. Embrace green energy and get answers to your LiFePO4 frequently asked questions below. What’s the weight difference between LiFePO4 batteries and lead acid batteries? 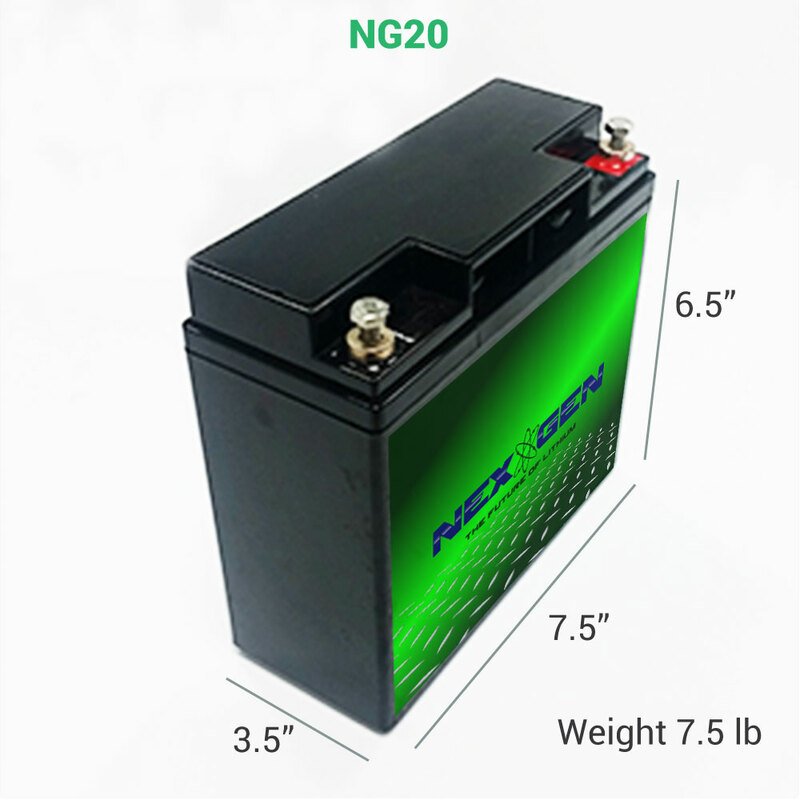 Typically, LiFePO4 batteries are about a quarter of the weight of lead acid batteries. What does this mean for your LiFePO4 battery applications? 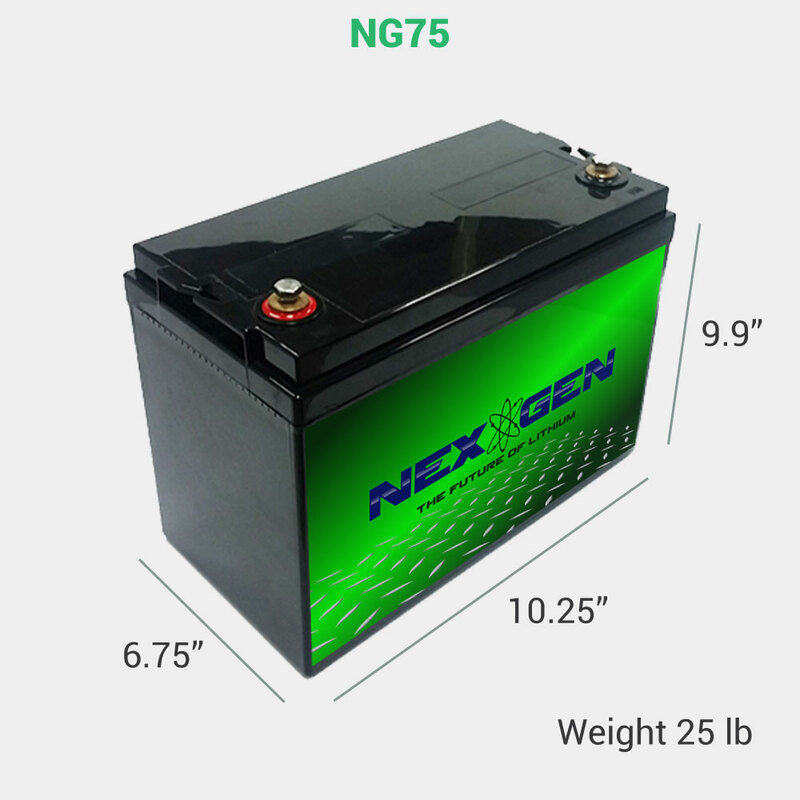 You aren’t weighed down by heavy lead acid batteries, allowing your vehicles to run at a higher speed and with more efficiency. How long do LiFePO4 batteries last? LiFePO4 battery life is 10 times longer than that of a lead acid alternative. Even when charging and draining LiFePO4 batteries once each day, LiFePO4 technology offers more than 13 years of life, while the competition lasts less than two years. 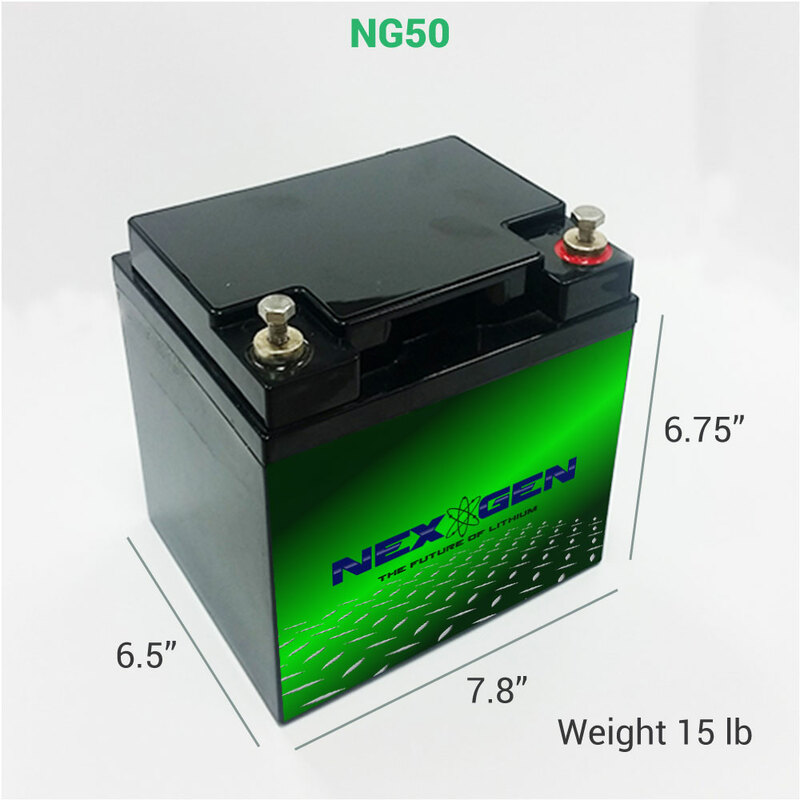 Are Nexgen LiFePO4 batteries safe? LiFePO4 batteries are both durable and safe for use in vehicles from golf carts to yachts. Built-in safety features prevent your battery from overheating by shutting it down when temperatures rise too high. Most lead acid batteries lack this mechanism, putting your battery at risk of catching fire. What if there isn’t a LiFePO4 battery on the market that fits my application? LiFePO4 batteries are customizable for your energy needs, making it easy to switch from lead acid batteries, regardless of the type of vehicle. Are lithium batteries harmful to the environment? LiFePO4 batteries are easily recyclable, and since they only need to be replaced about once a decade, you’re cutting down on waste produced. LiFePO4 technology is compatible with solar applications, and you may also choose to buy a battery made from recycled material. Is charging LiFePO4 batteries time-consuming? LiFePO4 technology offers 100 percent charging efficiency, drastically reducing the amount of time you must wait for your battery to charge. Lead acid batteries average a charging efficiency of 85 percent. Unlike lead acid batteries, lithium doesn’t need to go through the time-consuming absorption phase, which provides the final 20 percent of power during charging. Lithium receives a full charge in a fraction of the time. How does lithium’s shelf life compare to that of lead acid? Unfortunately, lead acid batteries deteriorate unless you charge them every day. Lithium maintains most of its usable capacity even if you store it without charging for a year. For optimal protection, experts recommend storing LiFePO4 batteries at 50 percent depth of discharge (DOD). How much maintenance do LiFePO4 batteries require? The short answer is virtually none. 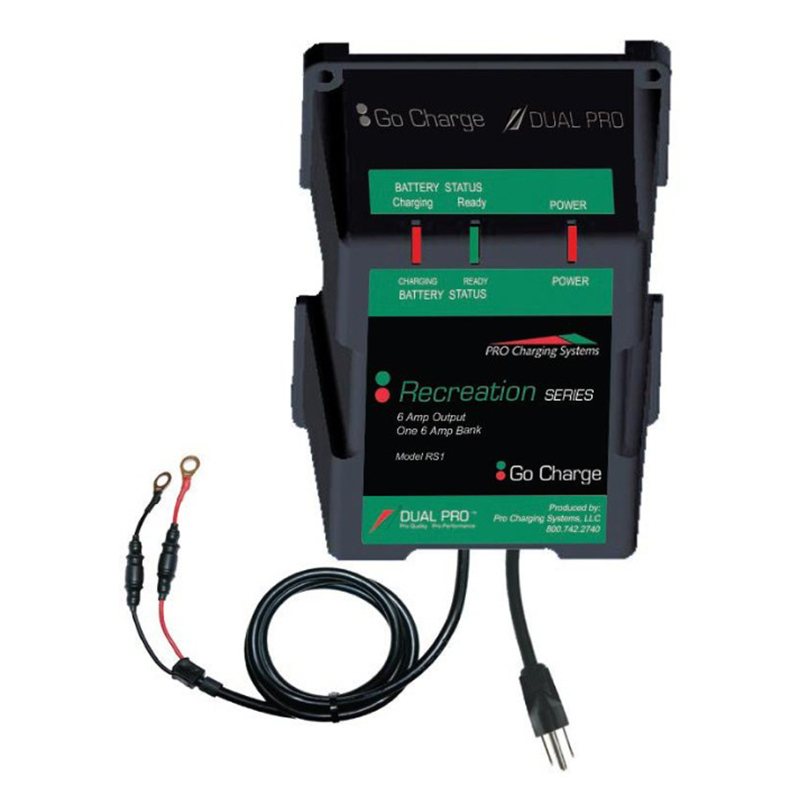 While lead acid batteries must go through routine saturating charges lasting 14 hours or longer, LiFePO4 technology maintains consistent power even if you only charge it partially. However, extreme temperatures may damage your battery, and you should take care to charge it at the right voltage. 14.6 V is the recommended charging voltage.